This two bedroom, one bath duplex is absolutely gorgeous. 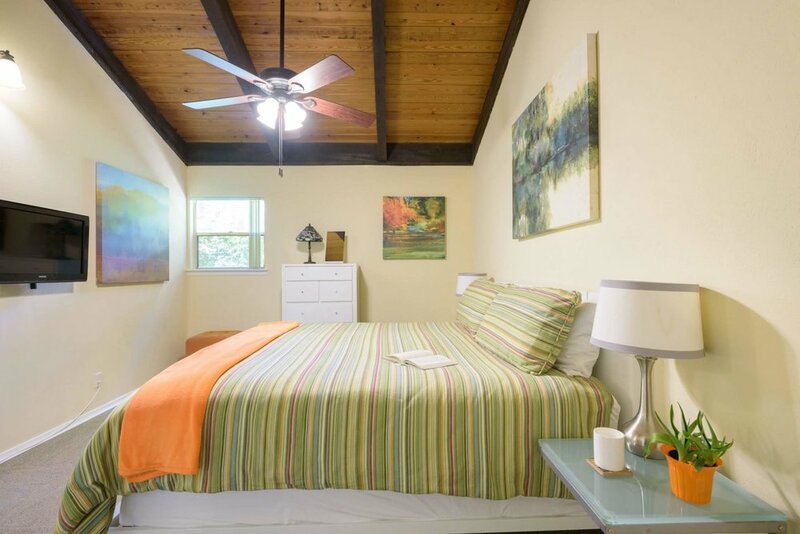 Just two blocks from Barton Springs Pool and Zilker Park, and two miles from downtown Austin. 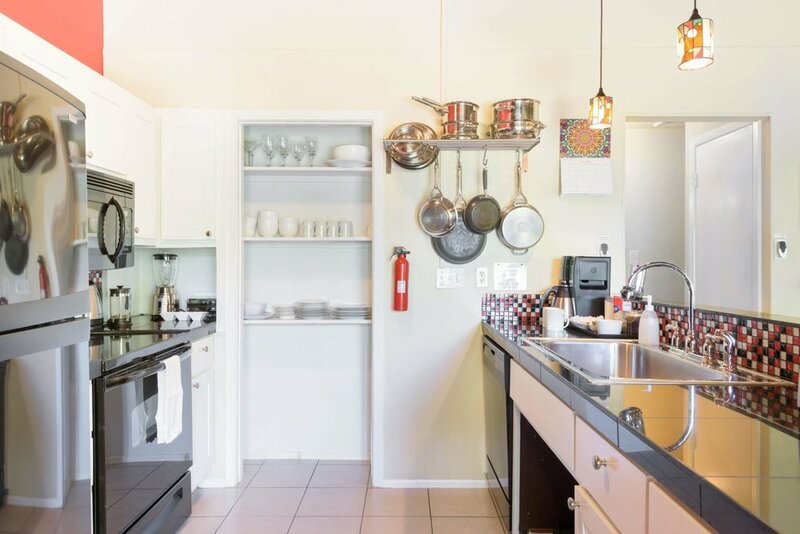 THE Granite Tiled KITCHEN IS WELL FURNISHED WITH EVERYTHING YOU NEED TO COOK. ALONG WITH PLENTY OF DISHES, POTS AND PANS, WE ALSO PROVIDE ORGANIC LOCAL COFFEE BEANS, GRINDER, SUGAR, SPLENDA, HALF & HALF, AND AN ASSORTMENT OF TEAS. THERE ARE BASIC OILS, SPICES AND EVEN A BRITTA FILTER. There’s one plush king bed, two twins and a queen-sized pull-out sofa in the living room. This property can sleep up to 4 in beds and using the pull out sofa you can sleep 6. The Tiled shower in the bathroom has been completely rebuilt with a Wheelchair accessible walk-in shower and a custom glass door. The previous owner of this property was handicapped, so he had it set up to be wheelchair Accessible. 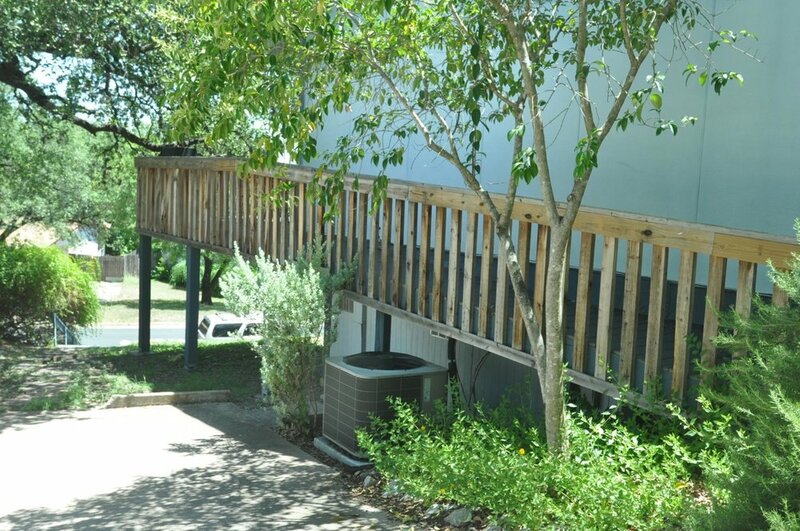 There are no stairs up to the front entryway and deck from the driveway, and once you’re in it’s all one level with plenty of grab bars in the bathroom. While we can’t say this property is ADA compliant, it’s about as wheelchair friendly as it gets. 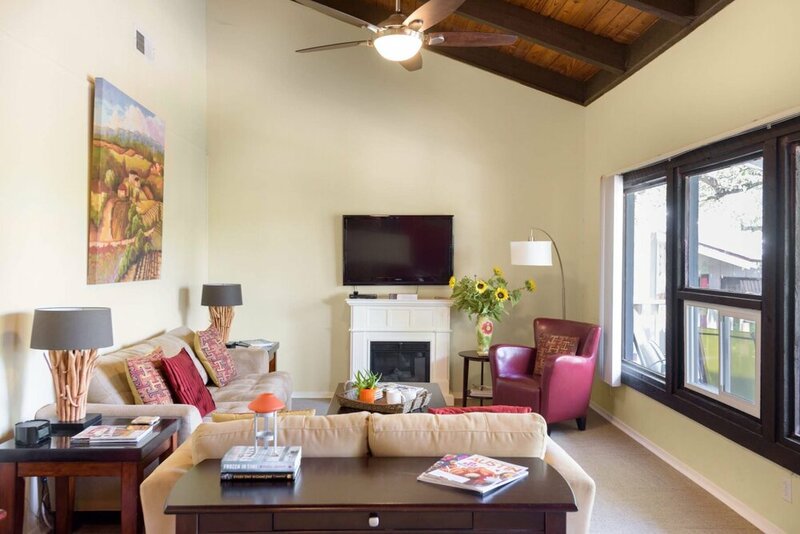 OTHER AMENITIES INCLUDE: streaming cable (200+ channels) and Netflix through ROKU boxes on both TV's, and high speed wireless internet, WASHER/DRYER IN HOUSE, RESERVED OFF-STREET PARKING, 6 SETS OF BATH AND BEACH TOWELS AND OUR WORLD CLASS GUEST SERVICE! (WE EVEN HAVE BEACH MATS, NOODLES AND/OR CAMP CHAIRS UPON REQUEST). ADDITIONAL LINENS, bed rails, baby equipment and pet furniture covers, crate or baby gate AVAILABLE UPON REQUEST. **For Month + bookings: We charge a $500 refundable damage deposit and $150 cleaning fee.